Once we've identified the patients we can help and the procedures the team will do, it's time to get started on the work of changing lives. Maybe it sounds dramatic, but just giving someone the ability to walk more normally or even wear shoes for the first time is a significant life change for most. Because we're here for a relatively short time, we're utilizing three operating rooms so we can do as many procedures as possible. We alternate between soft tissue and bony cases to allow time for sterilization of the powered instruments between bony procedures. At the same time, we try to do most of the youngest patients earlier in the day to minimize their discomfort from hunger and anxiety. 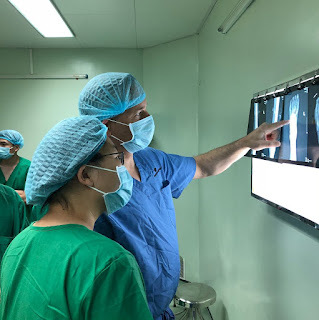 It's quite a balancing act that Wing Ip manages, then works with Dr. Em, the head of orthopedics at Can Tho General Hospital, to confirm and arrange the local team for anesthesiology, nursing, and operating room support. 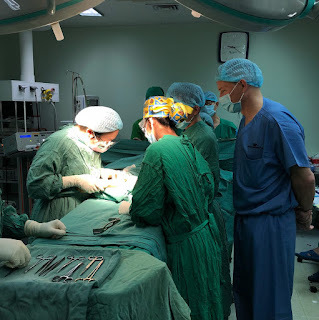 Surgery days take coordination of the full medical team as well as most of the support team. Our translators are invaluable in communicating with the medical staff and the patients, especially in delivering post-surgical care information and medication. Bruce Lehnert and Jeff Spanko prepare a patient. Although more than half of us have been on a previous IEP mission, several new team members have joined us for this mission. They're adapting quickly to the team as well as to working with the Vietnamese staff. 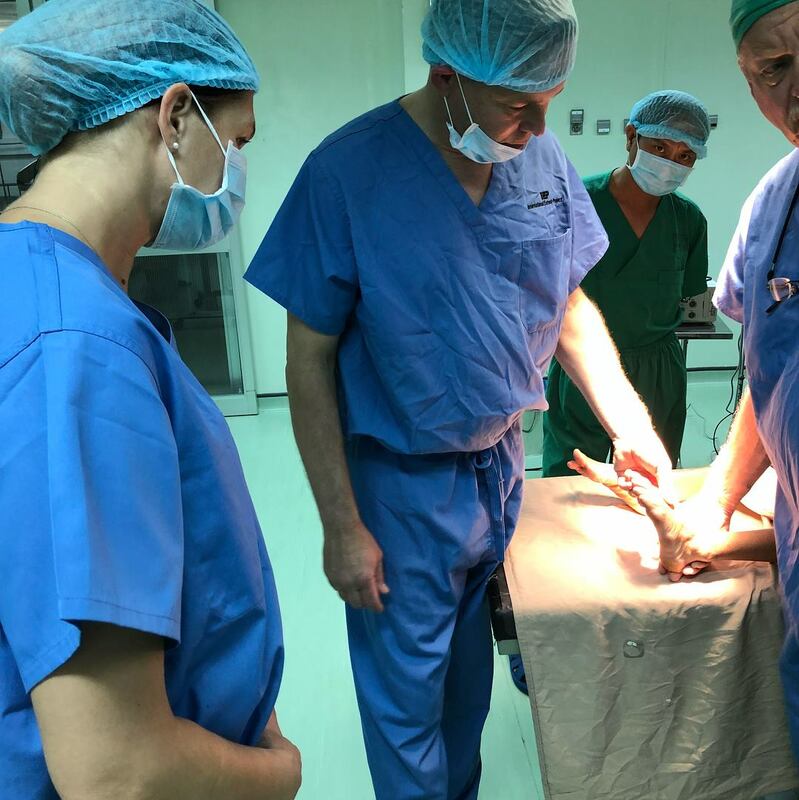 Although much of surgical care is relatively universal, each surgeon has his or her own methods and approaches. Communication among everyone involved in patient care is important, especially in the operating room. It's amazing to me how well people can communicate beyond language barriers when it comes to the well-being of a patient. Families are a critical part of patient care, both in the hospital and afterward. They'll manage the patient's medications and bring them meals while at the hospital, and help them to heal properly once at home. Most of our patients will be in casts and unable to bear weight on their limb(s) for six to eight weeks before moving to a walking cast. The first days following surgery can be particularly painful with swelling from the trauma of the procedure itself, but the long-term benefits are well worth the initial discomfort. Wing Ip, Amy Dhillon, and Bruce Lehnert in the OR.